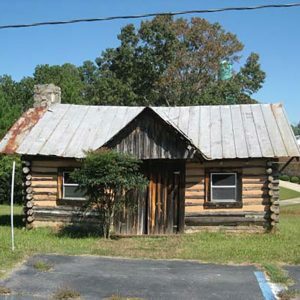 Oberlin Faith Cabin Library in Seneca is one of only two free-standing Faith Cabin Libraries extant of the 30 built in South Carolina between 1932 and 1943. Built in 1937 by locals, the library received its books from Oberlin College students (Ohio) after a visit to the college by Willie Lee Buffington, founder of the Faith Cabin Libraries. Faith Cabin libraries offered library services to the state’s rural African Americans where segregation laws barred them from using other library facilities beyond Columbia and Charleston. The Oberlin Faith Cabin Library is the only remaining building of the Seneca Junior College campus.